Louis Gauffier (1761-1801). Artist of 1 portrait. This portrait by the French painter Louis Gauffier shows a smartly dressed young man on a hillside, with a view of Florence behind him. The portrait is signed by Gauffier and dated 1796, but the sitter is unknown. 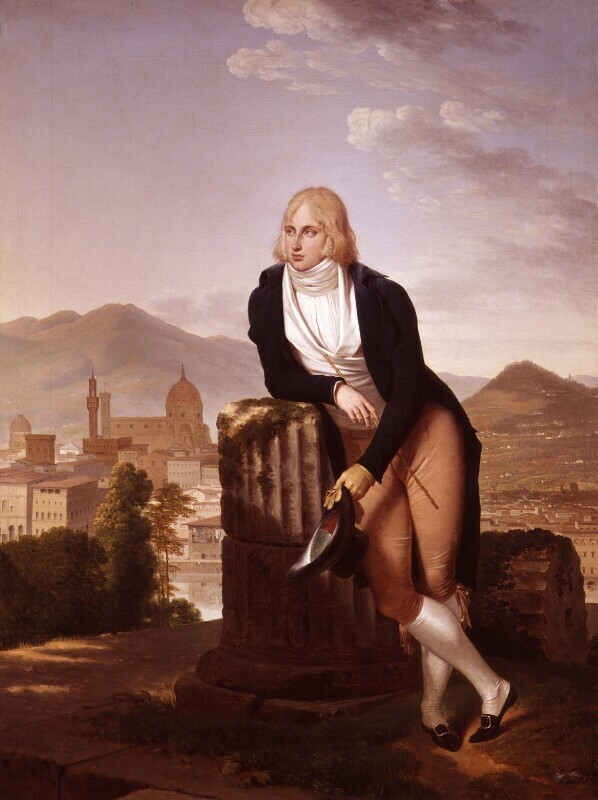 Gauffier worked in Italy in the 1790s and painted the portraits of many fashionable Englishmen and others on the Grand Tour. The sitter is probably one of these travellers. He may also have been a friend of Gauffier's, since he appears in other pictures by the painter.